Incredible versatility, compact design. Simply an exceptional value. The All-in-One Compact Photo Shop from Kodak Alaris. The APEX dry lab solution is totally modular. This intrinsic flexibility allows you to scale your photo center to the needs of your business — making best use of capital investment. With our plug-and-play Kodak accessories, only purchase what you need. You can train your staff in less than an hour. Your APEX runs virtually unattended, freeing your employees to work with customers. Employees can also set auto startup and shutdown times on a daily basis making the system even more automatic. It’s so much easier for your staff to track one consumable SKU instead of some competitor’s six to eight. The material inventory costs are low, which is good news since reducing your stock-keeping costs is just a smarter way to use capital. 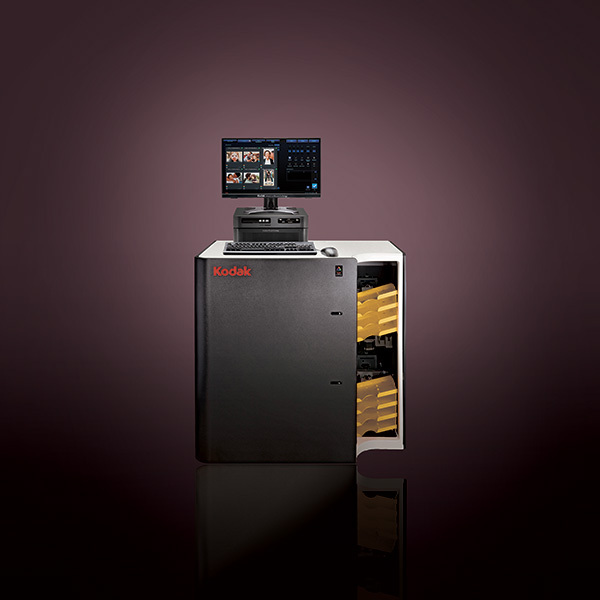 Kodak lets you control production—when you need to. 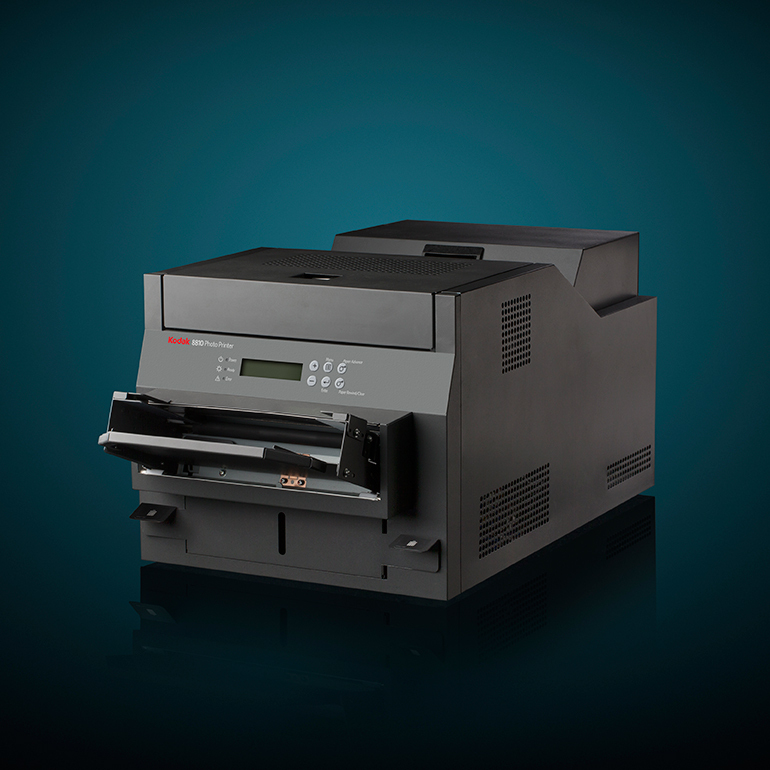 For example, choice of automatic or manual order release and the ability to dedicate printer(s) to your most pressing need delights both customers and staff. 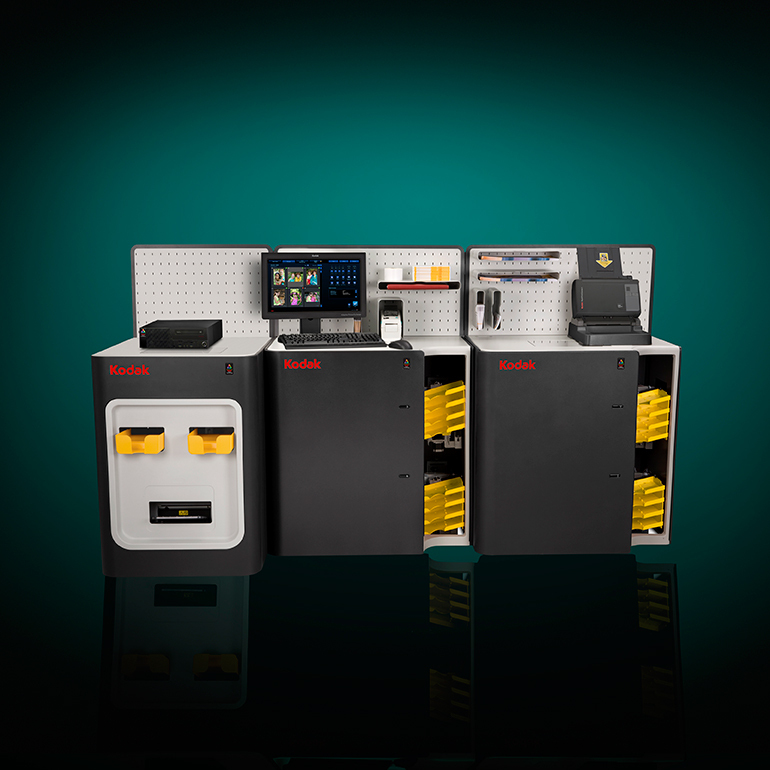 Kodak intelligent, shared image processing tools manage your kiosk workflow switching image rendering and other heavy processing tasks to an APEX Workstation—freeing up kiosks for the next customer. Now you can direct online sales to your retail photo business. KODAK Net-to-Retail Solution allows your APEX to receive and manage orders directly from all categories of websites—including retailer.com, Pure Plays and other third parties. Kodak provides legendary image quality and a lifetime of enjoyment. KODAK PERFECT TOUCH Technology consistently delivers more vibrant colors, richer detail and fewer dark shadows. Prints on KODAK XTRALIFE Paper are waterproof, wipeable, stain-resistant and will last a lifetime*. *Under typical home display and storage conditions. Based on preliminary image performance testing data. *Included only in Kodak Service Agreements. APEX uses 70 to 90% less energy than comparably sized AgX minilabs; consumes no chemicals and uses no water, saving an estimated 5,000 liters annually.1 In addition, the KODAK Picture Kiosk G4XE Order Station has 25% lower power usage compared to the previous model (G3)2, reducing carbon dioxide emissions by 157 kg per year.3 Overall, you can count on our systems to be efficient and intelligent in their use of media and consumables. We’ve given your photo business design considerable thought—with the intention of making all aspects intuitive and efficient. 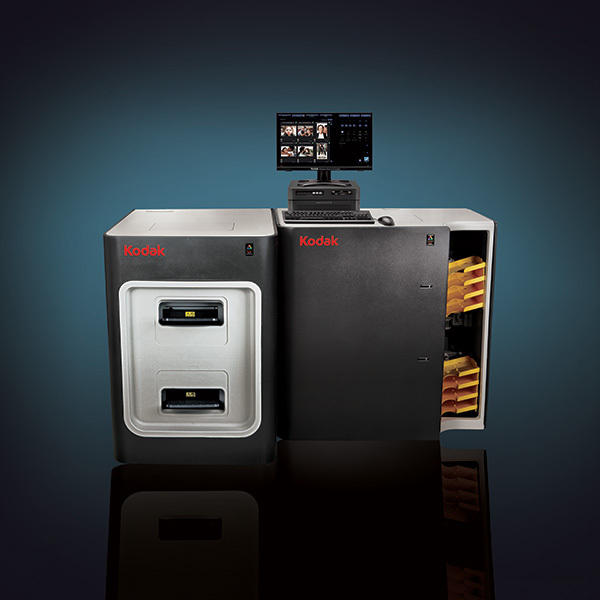 You can expect a regular flow of innovative new products from Kodak that create ever-more engaging customer experiences. It’s our definition of a smart choice made easy. 1 Energy savings based on electricity consumption testing of Fuji Frontier 340, Fuji Frontier 570, Noritsu QSS2711, Gretag Master Lab 742 minilabs under typical print per day volume. Actual results may vary. 2 Kodak internal testing. 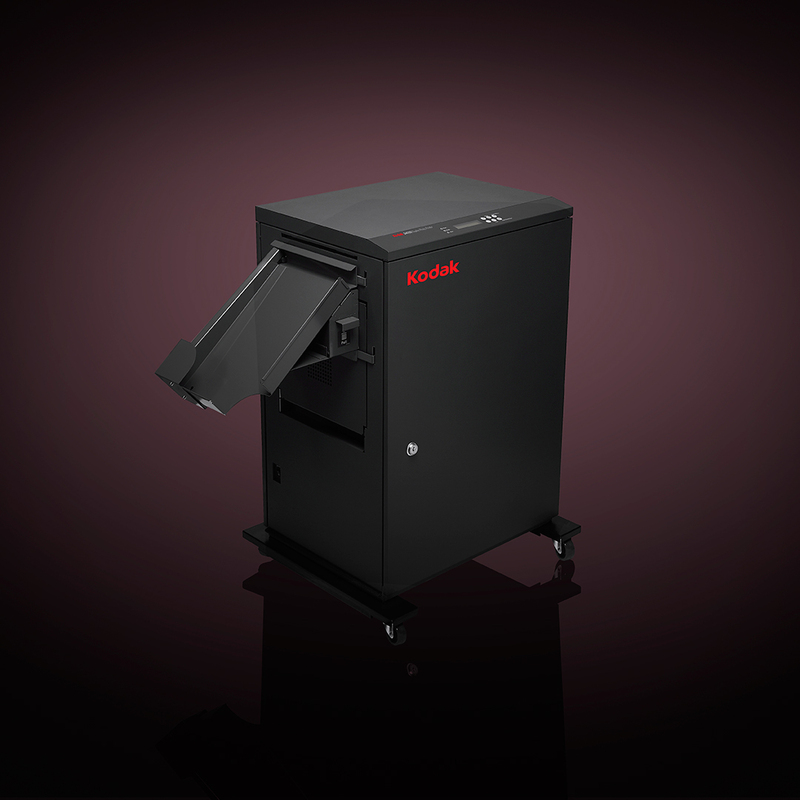 Compared to KODAK Picture Kiosk G3 models. Included measuring standard workflow and consumer choices. 3 The CO2 reductions from energy savings are based on the average US electricity greenhouse gas emissions factor used by the Chicago Climate Exchange. APEX gives you total control over production. Service level handling lets you manage multiple priority workflows with minimal employee intervention. 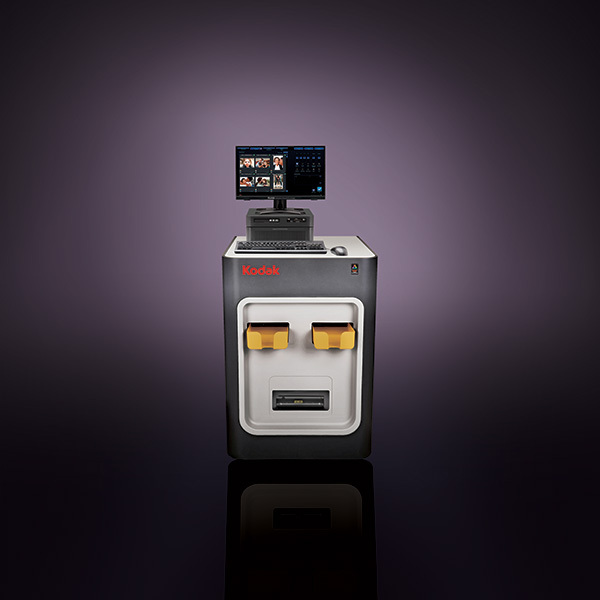 Maximize production efficiency with fast order turnaround. 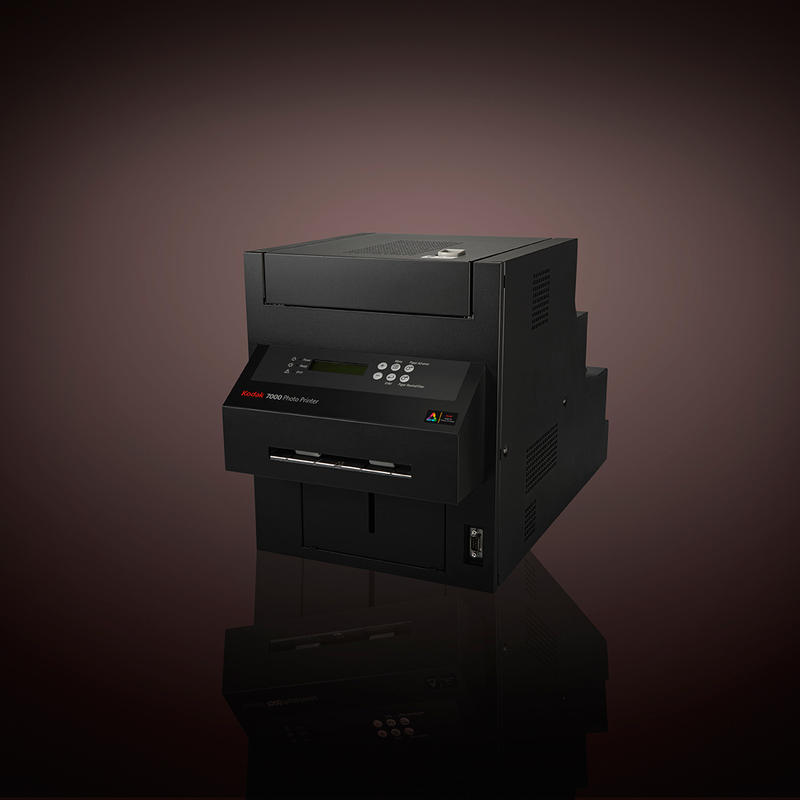 Reduce labor costs with automatic print sorting. Multiple products are produced simultaneously (small prints, large prints, KODAK Picture Movie DVD, Photo Books, etc.). Data is continuously provided for each order with an indication of percent completed. With appropriate connectivity, APEX lets your customers create and order premium photo products right from their smartphones using the KODAK MOMENTS App or from online sites and pick up orders right in store. With Net-to-Retail your APEX can receive and manage orders directly from the KODAK MOMENTS App and all categories of websites including retailer.com, Pure Plays and other third parties. 4-Way Order Matching Process provides positive identification of each order for easier, more accurate order management. Enables processing of customer orders in the event of a power failure. 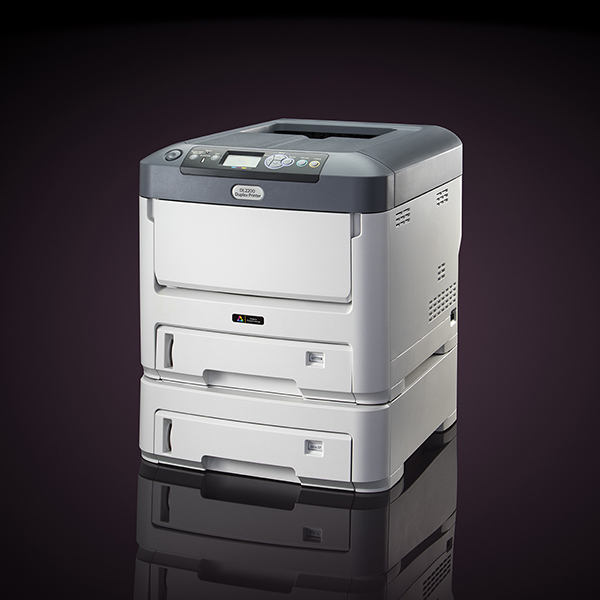 Easy enablement of print makeovers reduces clerk labor. 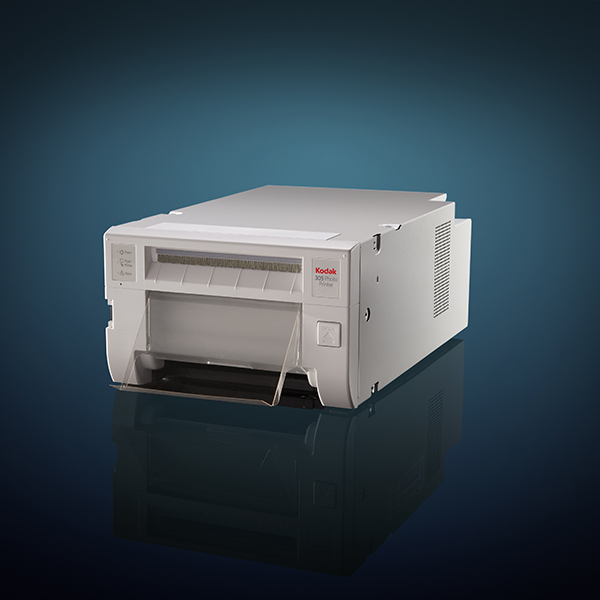 Our latest Duplex Photo Printer—a compact duplex printing solution with the exceptional print quality and reliability—that deliver fantastic borderless duplex products. More consumer choices. High-speed, reliable production. Easy Auto-Load paper. World-class KODAK Print quality.